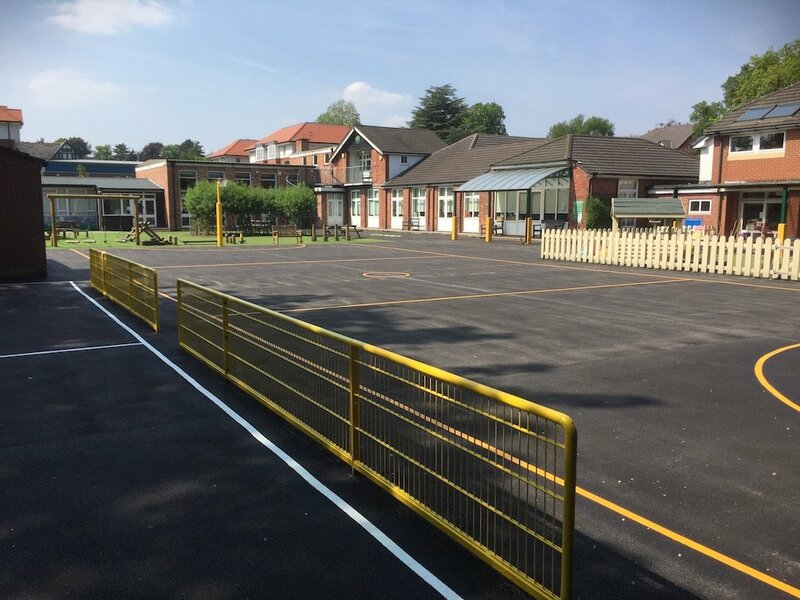 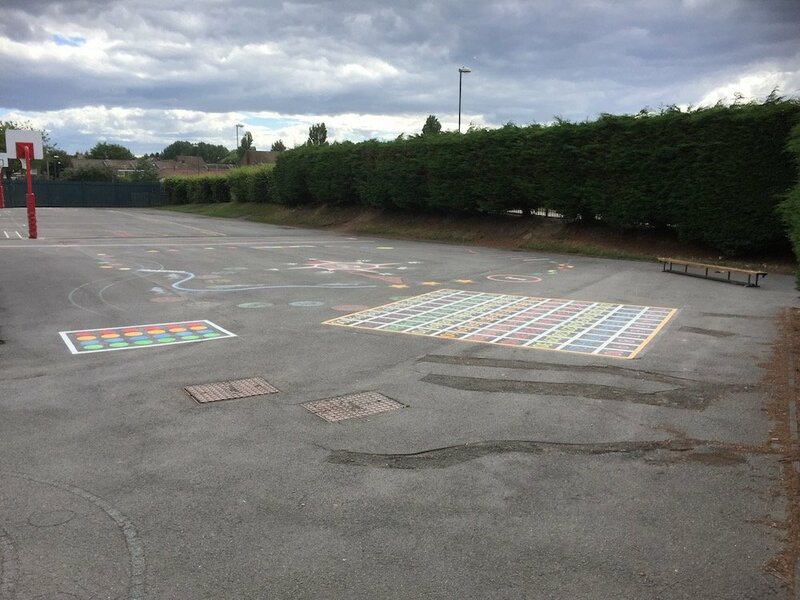 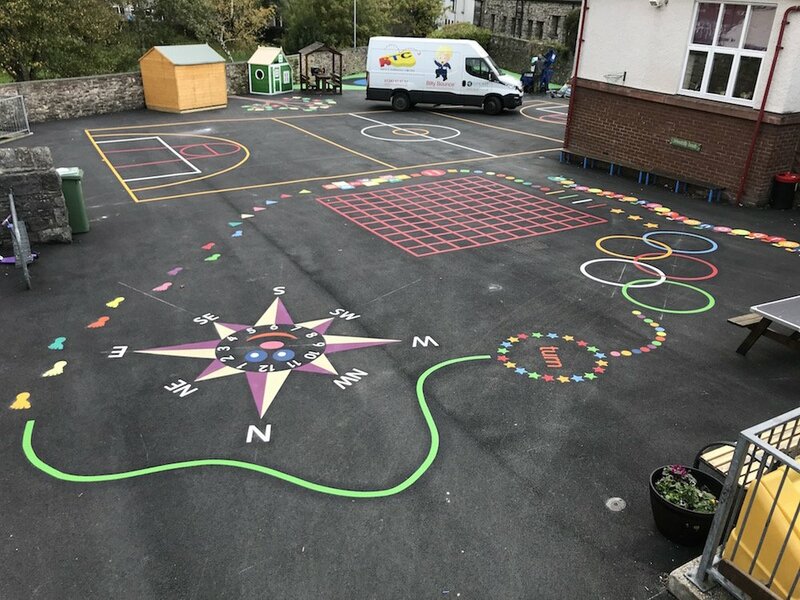 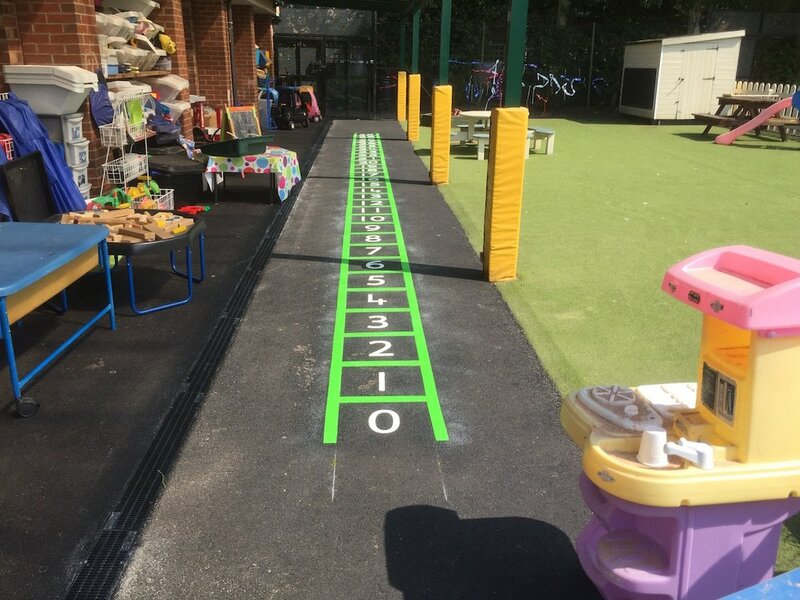 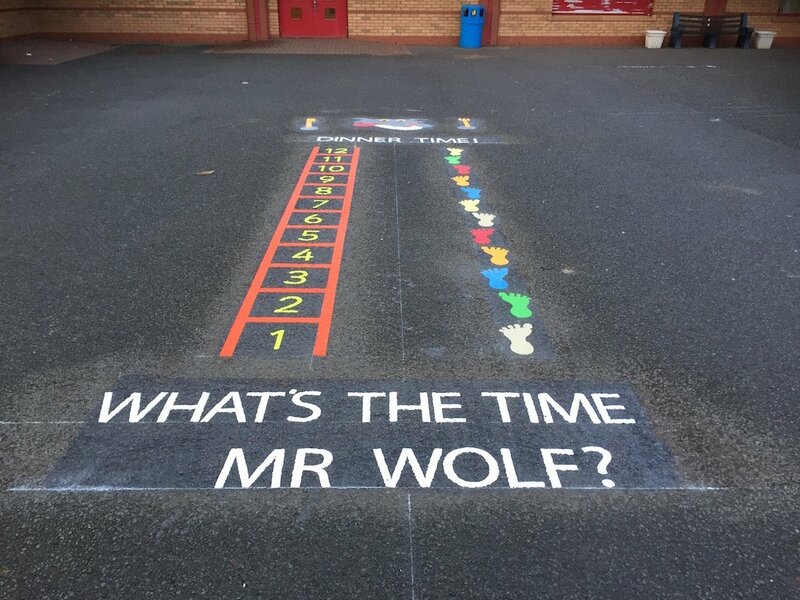 Our installation team travelled south of Manchester to Wilmslow Primary School to install at a range of brightly coloured playground markings. 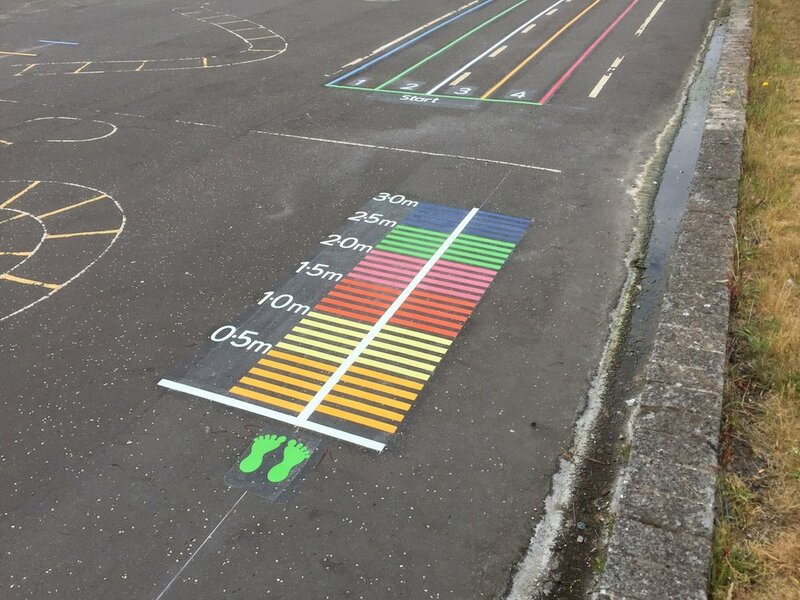 These playground markings consisted of a Netball Court, a Football Court, a Frog Hopscotch and a 1-20 Number Ladder. 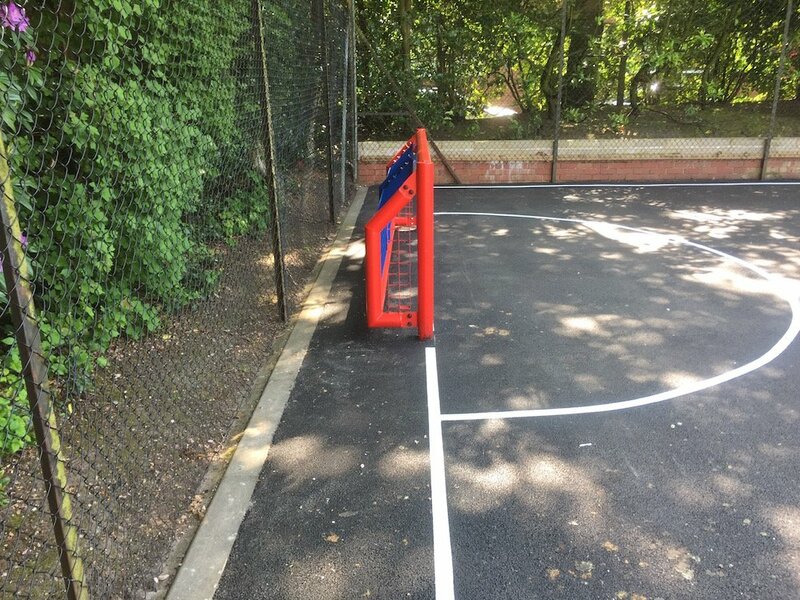 Firstly, the team installed this Netball Court. 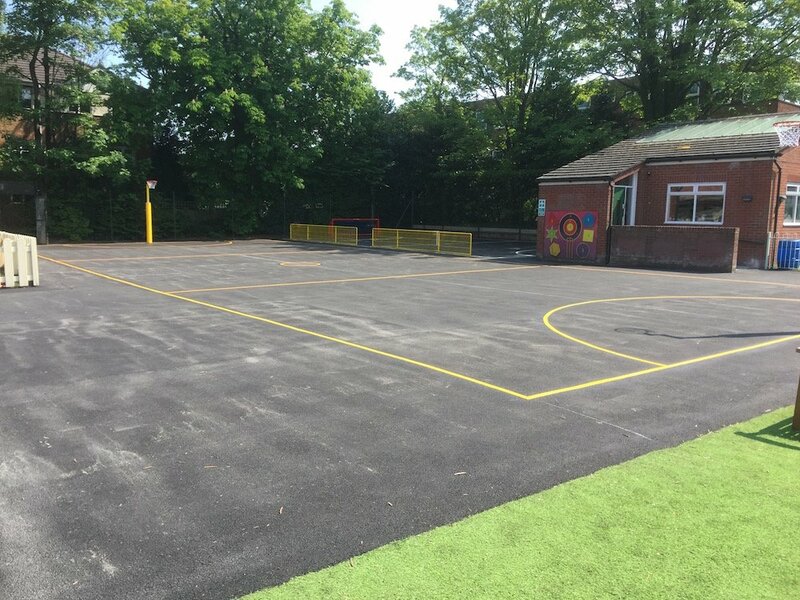 The Netball court is a great addition to any play area. 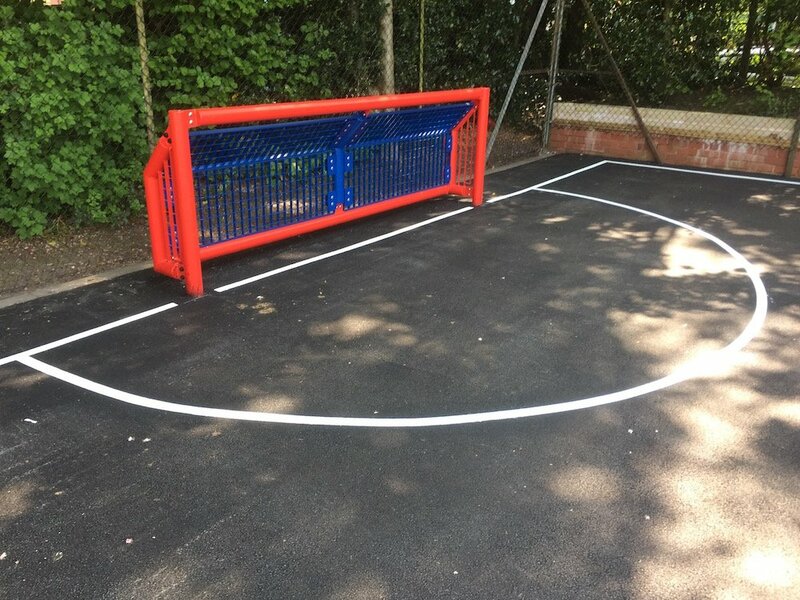 Allowing for a structured match environment to take place. 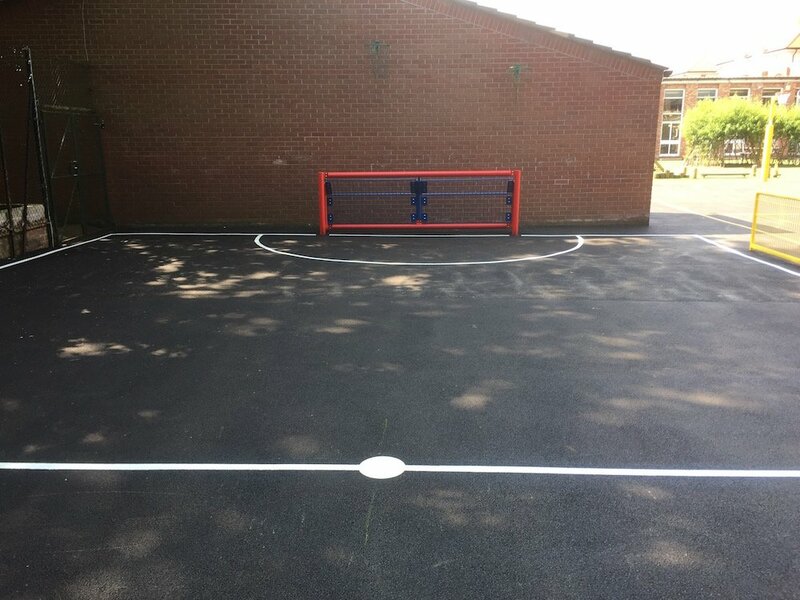 Next, the team installed this Football Court. 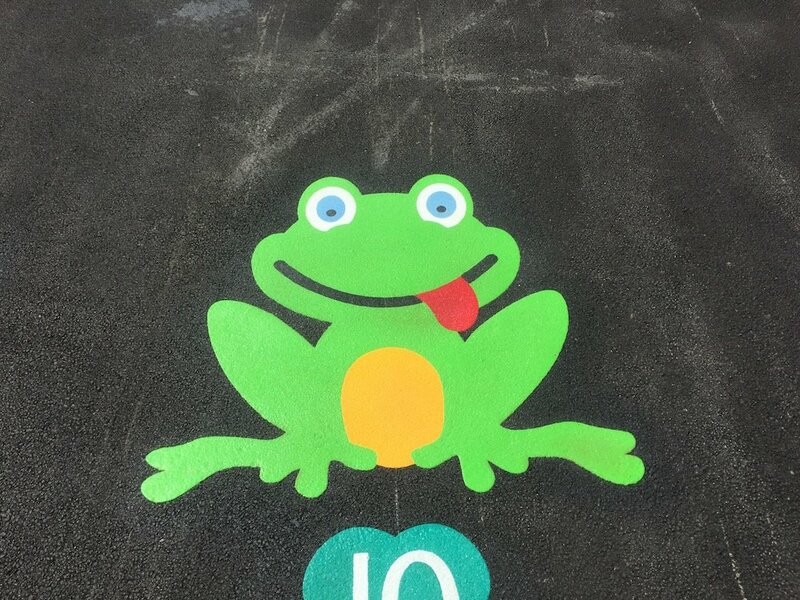 Then the team installed this Frog Hopscotch. 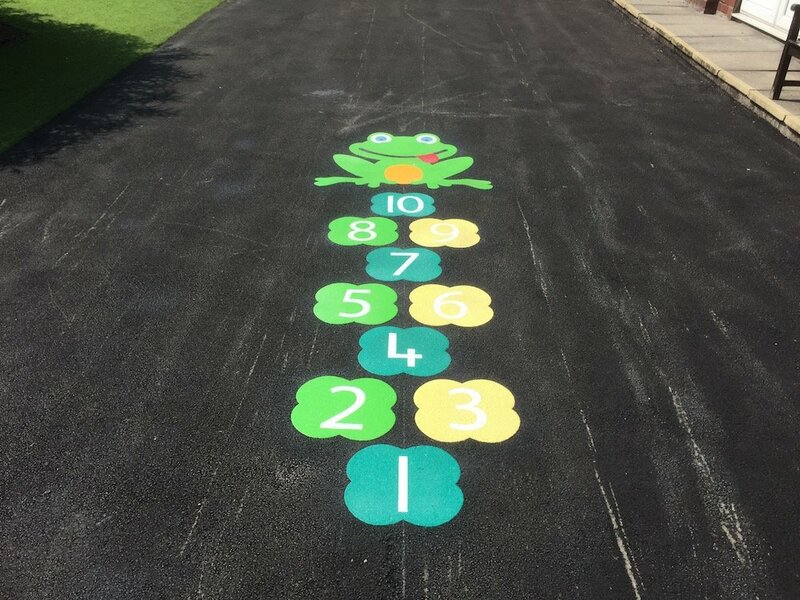 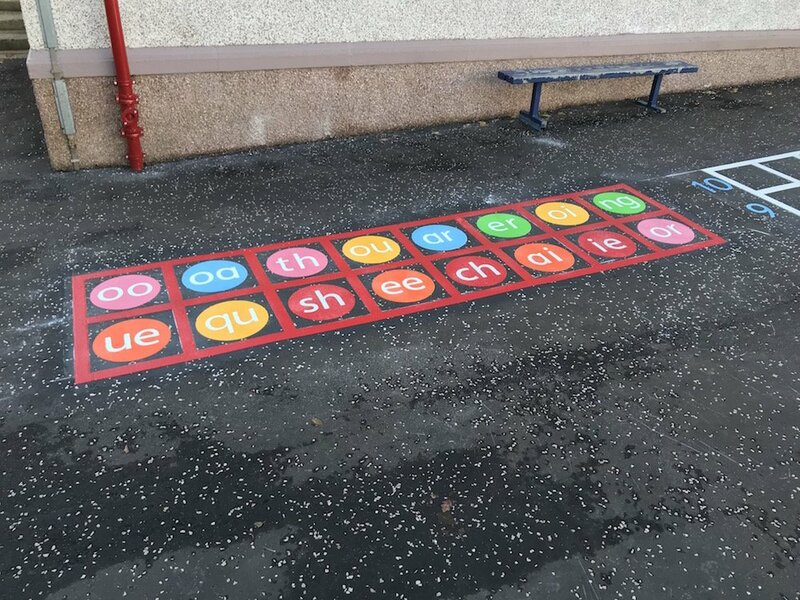 This is our Classic Hopscotch with a twist. 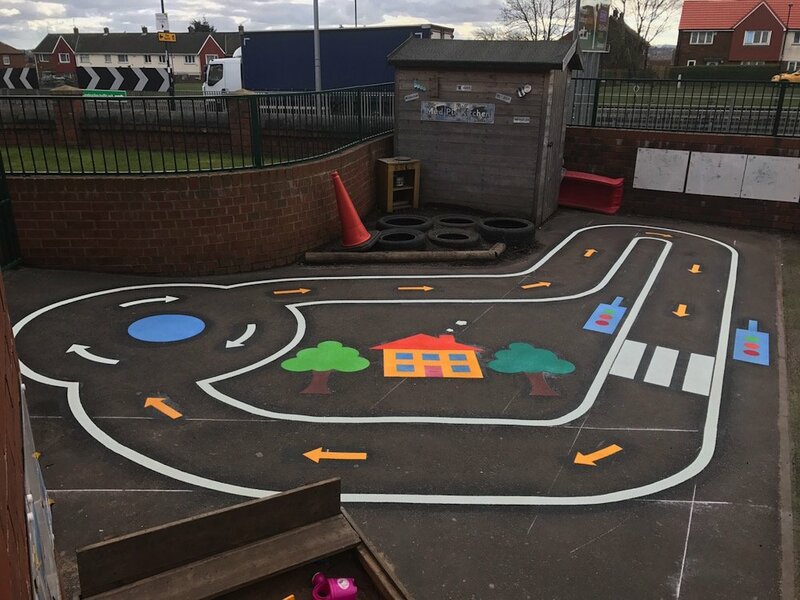 It looks great and really brightens up the play area. 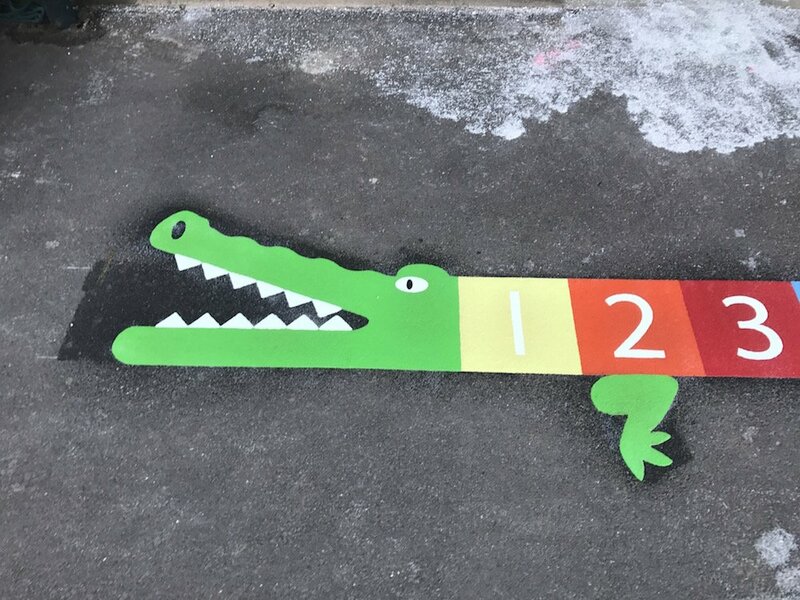 Lastly, the team installed this 1-20 Number Ladder. 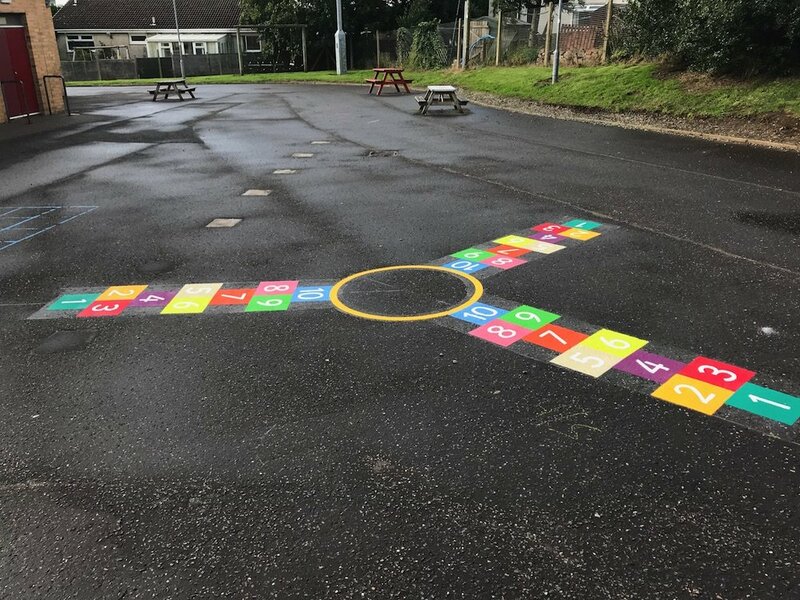 This is a great way for younger children to interactively learn their first numbers.